Yuppies moved into condos and personal computers into our homes. The 80's ushered in an era of affluence, multitasking and the Me-generation idea of having it all. Shirley Hutton became the first Independent Sales Director to achieve more than $1 million in estimated retail sales in 1980. Before becoming an Independent Beauty Consultant in 1973, Shirley made $11,000 a year as a television newscaster. When she debuted as an Independent National Sales Director Emeriti more than 21 years later, she had earned more than $7 million in Mary Kay commissions. 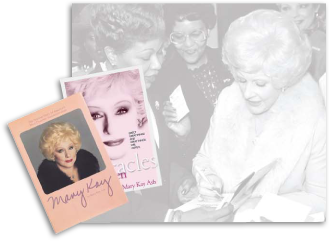 Mary Kay Ash added 'best-selling author" to her list of achievements in 1981. Her first book, an autobiography originally titled Mary Kay, was released through Harper & Row and has sold more than 2 million copies. The epilogue and cover were updated in 2003 and released as Miracles Happen, published by HarperCollins. 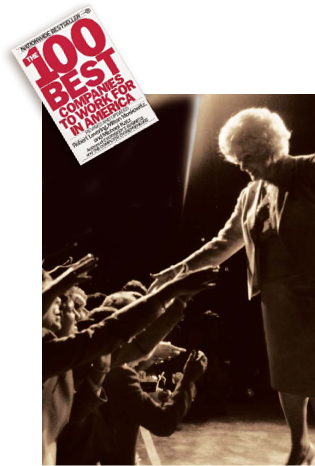 A testament to the Company's winning philosophy, Mary Kay Inc. first appeared in the 1984 edition of The 100 Best Companies to Work For in America. 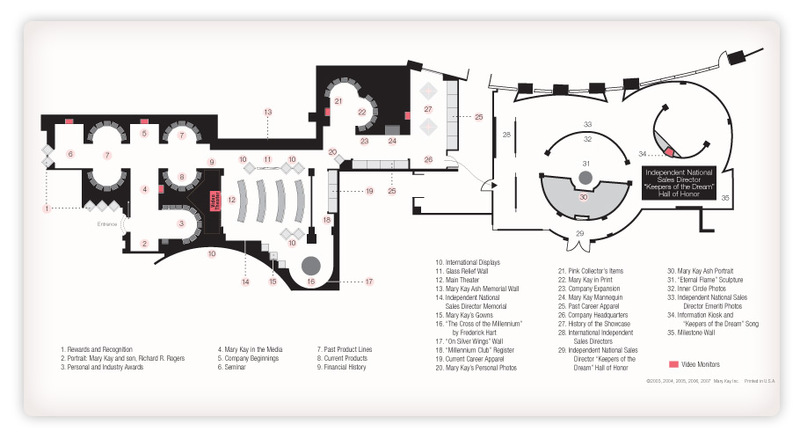 The publication ranks companies according to benefits, job security and work atmosphere. Sisterhood, education, motivation and, of course, recognition - Career Conference gave Independent Beauty Consultants the tools they needed for success. Launched in 1987, this special conference was first held in 14 cities across the United States. Today, it is held in more than 100 cities around the world. 1988 I "On Silver Wings"
When Mary Kay Ash returned from launching the Company's Australian market, she brought back a poem that spoke to her heart: "On Silver Wings." In 1988, that poem became the inspiration for a sculpture commissioned in honor of the Company's 25th anniversary. 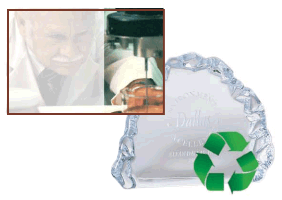 Mary Kay Inc. became one of the first companies to enact a comprehensive corporate recycling program in 1989. It followed with banning product testing on animals. These actions, among others, have earned Mary Kay Inc. numerous awards and honors for environmental protection. Click here for more information on the social responsibility programs at Mary Kay Inc.